Researchers have found that people with advanced head and neck squamous cell carcinoma, coupled with the KRAS-variant inherited genetic mutation, have significantly improved survival when given a short course of the drug cetuximab in combination with standard chemotherapy and radiation. 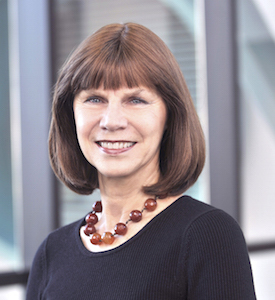 The study was led by UCLA Jonsson Comprehensive Cancer Center member Joanne Weidhaas (photo), M.D., Ph.D., in collaboration with colleagues at the NRG Oncology Radiation Therapy Oncology Group (RTOG). The scientists discovered that people with both head and neck squamous cell carcinoma and the KRAS-variant who were treated with standard treatment, but not with cetuximab, had a higher risk of failing treatment and developing metastatic disease. In 2006, researchers discovered the KRAS-variant, an inherited genetic mutation found in up to 25 percent of people with cancer. The KRAS-variant is a biomarker that disrupts a class of important regulators, called microRNAs, which were discovered in 2000. The mutation has been shown to predict response to cancer therapy for many cancers, including head and neck cancer. It was not previously understood exactly how this biomarker worked. The current standard of care for advanced head and neck squamous cell carcinoma involves chemotherapy and radiation. However, this approach typically results in a 50-percent treatment failure. Cetuximab is a monoclonal antibody that was previously shown to be beneficial for these patients when combined with radiation and chemotherapy; yet a randomized phase 3 trial was unable to identify those who benefited from cetuximab. Dr. Weidhaas’ team analyzed available samples from the NRG Oncology RTOG 0522 randomized phase 3 clinical trial of cetuximab in combination with chemotherapy and radiation therapy. Researchers at the University of Texas (UT) Southwestern Medical Center have illuminated the mechanism cells use to find and destroy damaged mitochondria that, when damaged, may lead to genetic problems, cancer, neurodegenerative diseases, inflammatory disease, and aging. Understanding how this process works could potentially lead to new treatments to prevent certain illnesses and even some aspects of aging, said Dr. Beth Levine, Director of the Center for Autophagy Research at UT Southwestern and senior author of the study, which was published online on December 22, 2016 in Cell. The Center for Autophagy Research – the only one of its kind in the nation – investigates the process called autophagy in which cells rid themselves of damaged or unnecessary components. Mitochondria are commonly called the “powerhouses of the cell” because they work like tiny factories inside cells to convert compounds such as sugars into energy that a cell can use. But mitochondria also have a dark side: Because of their high-energy function, when they are damaged, they release toxic chemicals called reactive oxygen species into the rest of the cell, said Dr. Yongjie Wei, Assistant Professor of Internal Medicine at UT Southwestern and lead co-first author of the study. “The removal of damaged mitochondria by autophagy (a process called mitophagy) is important for cellular health,” said Dr. Levine, also Professor of Internal Medicine and Microbiology and a Howard Hughes Medical Institute (HHMI) Investigator. Researchers have, to date, focused on protein “tags” found on the outer membranes of mitochondria – especially the protein Parkin that attaches these tags – to explain how the cell’s degradative organelles, called autophagosomes, target sick mitochondria, explained Dr. Levine, who holds the Charles Cameron Sprague Distinguished Chair in Biomedical Science. Carol Tamminga (photo), M.D., Chairman of Psychiatry at the University of Texas (UT) Southwestern Medical Center, has received the American Psychiatric Association’s top research award for creating a new system of classifying various forms of psychosis based on biological indicators, and contributing to better understanding their neural mechanisms. The award marks the second straight year a UT Southwestern faculty member has received the American Psychiatric Association Award for Research, the group’s most significant research accolade for a contribution that has had a major impact on the field or altered the practice of psychiatry. Dr. Tamminga was recognized for leading a groundbreaking study that established biologically distinct groups of psychosis patients based on factors such as brain waves, cognitive ability, and damage to brain tissue. The finding, published in the American Journal of Psychiatry, provides new methods of identifying schizophrenia, schizoaffective, and bipolar disorders, and goes beyond the traditional standard of diagnosing through clinical observation. Dr. Tamminga said it’s likely these groups will have their own genetic profile and that unique medications might eventually be developed to treat each. “There is a strong enthusiasm throughout our field, and now optimism, for a neural understanding of psychotic illnesses,” said Dr. Tamminga, who holds the Lou and Ellen McGinley Distinguished Chair in Psychiatric Research and the Communities Foundation of Texas, Inc. Chair in Brain Science. Participants in the study, conducted through UT Southwestern’s Peter O’Donnell Jr. Brain Institute, underwent various tests that measured cognition, eye-tracking, brain waves, and loss of brain tissue. By analyzing statistics from these tests, Dr.
Scientists at The Rockefeller University have created the most detailed three-dimensional images to date of an important step in the process by which cells make the nano-machines (ribosomes) responsible for producing all-important protein. The results, described in an article published online on December 15, 2016 in Science, are prompting the researchers to re-evaluate how they envision this early phase in the construction of ribosomes. The structure they determined, shown in the image here, belongs to a particle formally called the “small subunit processome.” Before this particle can fulfill its destiny to become the smaller half of a complete ribosome, the RNA within it needs to be folded, tweaked, and cut. “Initially, we thought of the small subunit processome as a product on an assembly line, with molecular workers arriving from outside, much like the robots that would put together a car. But that analogy no longer appears apt,” says senior author Dr. Sebastian Klinge, Head of the Laboratory of Protein and Nucleic Acid Chemistry at The Rockefeller. “Instead, we see integral components of the particle—protein complexes and RNA—constructing and organizing from within, before the outer layer peels away. In that sense, the processome is more like an egg about to hatch,” he adds. As do most studies of ribosomes, this one used yeast, whose protein-making machines look nearly the same as those of other complex cells, including our own. To produce the highest-resolution images of this particle yet available, Dr. Klinge; first author Malik Chaker-Margot, a graduate student in the lab; and the other team members used an approach known as cryo-electron microscopy. A revolutionary method that allows researchers to study human embryo development in the lab has been voted The People’s Choice Breakthrough of the Year 2016 by Science magazine readers. The technique, pioneered by Dr. Ali Brivanlou, Robert and Harriet Heilbrunn Professor of the Laboratory of Stem Cell Biology and Molecular Embryology at The Rockefeller University, vastly expands the ability to answer basic questions about our own development and has the potential to shed light on early pregnancy loss. Prior to Dr. Brivanlou’s discovery, very little was known about an initial stage of human embryonic development called implantation, when the developing embryo attaches to the uterus. By surrounding the developing embryo with just the right chemical environment and providing a suitable scaffolding for it to attach, the researchers managed to replicate the landmarks characteristic of normal human development up to 12 days after fertilization. The ability to study this process in an experimental setting, outside the uterus, has opened the door to a wide variety of studies on the molecular events that occur during the very earliest stages of development. In the near future, the ability to study implantation in culture is likely to shed light on why some early miscarriages occur and why in vitro fertilization has a high failure rate. Over the longer term, the work could advance the development of cell-based therapies for a variety of diseases. The work was conducted by research associates Alessia Deglincerti and Gist Croft, research specialist Lauren Pietila, as well as Dr. Eric D. Siggia, Viola Ward Brinning and Elbert Calhoun Brinning Professor and Head of the Laboratory of Theoretical Condensed Matter Physics (all at The Rockefeller), and Magdalena Zernicka-Goetz, of the University of Cambridge (UK). Dr.
New molecular imaging technologies can make it easier to diagnose, monitor, and treat cancers while potentially saving patients from undergoing therapies that are likely to be ineffective and playing a role in minimizing side effects, according to experts from the Abramson Cancer Center and the Perelman School of Medicine at the University of Pennsylvania. In a review published online on December 29, 2016 in JAMA Oncology, the Penn team says finding a way to use these techniques more widely in clinical settings should be a top priority. The article is titled “Making Molecular Imaging a Clinical Tool for Precision Oncology: A Review.” Precision cancer care focuses on identifying the specific biomarkers of a patient's cancer, which can help doctors make decisions about the best treatment options. A traditional way to learn about the genetic makeup of cancer is through a biopsy - in which doctors have to physically remove tissue from a patient and then examine it. But new molecular imaging, which can be used to complement the biopsy and is noninvasive, can provide added benefit in certain cases, especially when multiple examinations are needed. There are four main areas where molecular imaging can have a major impact, according to the study's lead author David A. Mankoff, M.D., Ph.D., the Gerd Muehllehner Professor of Radiology and Director of the PET Center at the Perelman School of Medicine at the University of Pennsylvania. First, it can help identify patients most likely to benefit from targeted therapy. "Once we start treatment, it can also help us plan radiotherapy treatment and help define the boundaries of the active tumor," Dr. Mankoff said. Second, it can monitor the movement of drugs throughout the body to guide drug dosing and minimize side effects. Similarly, it can also monitor whether those drugs are having an effect. A treatment billed as a potential breakthrough in the fight against disease, including cancer, could back-fire and make the disease fitter and more damaging, new research has found. Ground-breaking research has found that introducing 'friendlier' less-potent strains into a population of disease-causing microbes can actually lead to increased disease severity. The surprise findings by a team of scientists at the University of Exeter has led to calls for urgent research into the implications of using the 'fire to fight fire' approach to combat disease. The research shows that far from being a 'silver bullet' to weaken disease, the practice of introducing pacifist microbes into a host could make the aggressive pathogen stronger, which could hamper disease management. Until now, introducing friendlier cousins, which do not cause severe disease, into a population of pathogens has been shown to reduce disease severity and damage to the infected host. It has been suggested that this approach could be an effective way of treating cancer, and research so far has proved effective and promising. For example, scientists using this approach have already produced encouraging results in the fight against Clostridium difficile infections that are so common in our hospitals. But the University of Exeter scientists tested this strategy using a plant pathogen, and found the therapy could go dramatically wrong, with devastating consequences for the host plant. 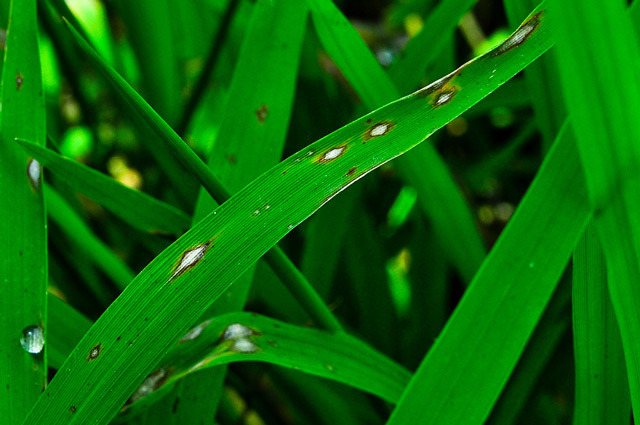 A team lead by Professors Ivana Gudelj, a mathematical biologist and Nick Talbot, a plant disease specialist, investigated the devastating rice blast disease (image). They introduced a mixed population of the fungus that causes this disease into rice, where the mixture included an aggressive strain and a pacifist mutant. Mutations that have been linked to endometrial cancer can be found in the uterine lavage fluid of pre- and post-menopausal women both with and without detectable cancer, according to a study published online on December 27, 2016 in PLOS Medicine by John Martignetti, M.D., Ph.D., of the Icahn School of Medicine at Mount Sinai and colleagues. The open-access article is titled "Genomic Analysis of Uterine Lavage Fluid Detects Early Endometrial Cancers and Reveals a Prevalent Landscape of Driver Mutations in Women without Histopathologic Evidence of Cancer: A Prospective Cross-Sectional Study." "Today, there are no effective screening methods for endometrial cancer, which is increasing in both incidence and mortality in the United States," said Peter Dottino, M.D., Director of Gynecologic Oncology at Mount Sinai Health System and one of the senior authors on the study. "We were therefore interested in the possibility of coupling newly developed genomic technologies with current treatment practices to develop a precision medicine assay for screening and early detection of this cancer." In the new study, researchers performed uterine lavage - where the inside of the uterus is rinsed with saline fluid to collect loose cells and cell-free DNA - on 107 women undergoing diagnostic hysteroscopy due to post-menopausal uterine bleeding or abnormal pelvic ultrasound results. The collected cells and DNA were analyzed by the research teams, including those of Boris Reva, Ph.D., and Robert Sebra, Ph.D., of the Icahn School of Medicine at Mount Sinai, in collaboration with the advanced research team at Swift Biosciences who together developed sets of targeted gene panels to sequence specific genes known to be associated with endometrial cancer development and progression. You've likely heard about being in the right place at the wrong time, but what about having the right genes in the wrong environment? In other words, could a genetic mutation (or allele) that puts populations at risk for illnesses in one environmental setting manifest itself in positive ways in a different setting? That's the question behind a paper published online on December 28, 2016 in The FASEB Journal by several researchers including lead author Ben Trumble, Ph.D., an Assistant Professor at Arizona State University's School of Human Evolution and Social Change and ASU's Center for Evolution and Medicine. The article is titled “Apolipoprotein E4 Is Associated with Improved Cognitive Function in Amazonian Forager-Horticulturalists with a High Parasite Burden"” In their work, the researchers examined how the apolipoprotein E (ApoE) gene might function differently in an infectious environment than in the urban industrialized settings where ApoE has mostly been examined. All ApoE proteins help mediate cholesterol metabolism, and assist in the crucial activity of transporting fatty acids to the brain. 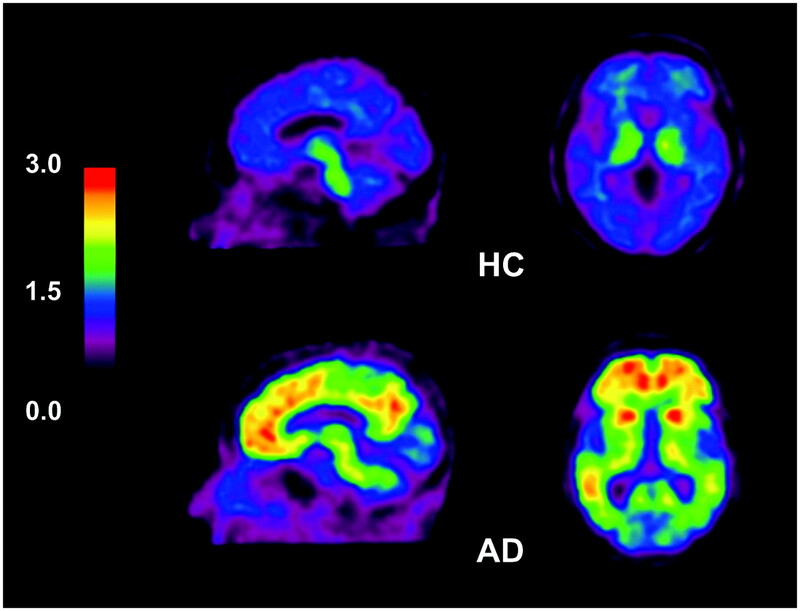 But in industrialized societies, ApoE4 variant carriers also face up to a four-fold higher risk for Alzheimer's disease and other age-related cognitive declines, as well as a higher risk for cardiovascular disease. The goal of this study, Dr. Trumble explains, was to reexamine the potentially detrimental effects of the globally-present ApoE4 allele in environmental conditions more typical of those experienced throughout our species' existence -- in this case, a community of Amazonian forager-horticulturalists called the Tsimane. Even experts can be fooled by melanoma. People with this type of skin cancer often have mole-looking growths on their skin that tend to be irregular in shape and color, and can be hard to tell apart from benign ones, making the disease difficult to diagnose. Now, researchers at The Rockefeller University have developed an automated technology that combines imaging with digital analysis and machine learning to help physicians detect melanoma at its early stages. “There is a real need for standardization across the field of dermatology in how melanomas are evaluated,” says James Krueger, the D. Martin Carter Professor in Clinical Investigation and Head of the Laboratory of Investigative Dermatology. “Detection through screening saves live, but is very challenging visually, and even when a suspicious lesion is extracted and biopsied, it is confirmed to be melanoma in only about 10 percent of cases.” In the new approach, images of lesions are processed by a series of computer programs that extract information about the number of colors present in a growth, and other quantitative data. The analysis generates an overall risk score, called a Q-score, which indicates the likelihood that the growth is cancerous. Published online on December 19, 2016 in Experimental Dermatology, a recent study evaluating the tool’s usefulness indicates that the Q-score yields 98 percent sensitivity, meaning it is very likely to correctly identify early melanomas on the skin. The ability of the test to correctly diagnose normal moles was 36 percent, approaching the levels achieved by expert dermatologists performing visual examinations of suspect moles under the microscope.